A typical child spends only 4 to 7 minutes outside each day. You may wonder, How could that be? It's time to teach kids how much fun it is to play outside to romp in the dirt and run in the sun! 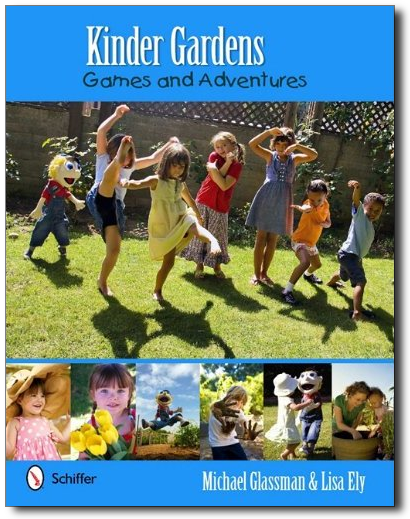 Let Kinder Garden show you and your kids how gardening is a great form of exercise that will teach healthy eating while building brain muscles. Did you know that flowers are not the only things in the garden that bloom and grow kids do, too! Karden, the puppet pal, reminds us that, with just a leaf, you can have fun for hours outside in the garden. Karden introduces 25 fun games like building a soil castle, making a sunflower watch, creating muddy art, and sponge tag! This book will help inspire adults and children to turn gardening into a family project full of fun memories, as well as to get a little exercise, too!